But congrats on the baby! Sorry Lithtaur That's one craft I've not done....quilting that is so my cross stitching skills can't help you at all I'm afraid. 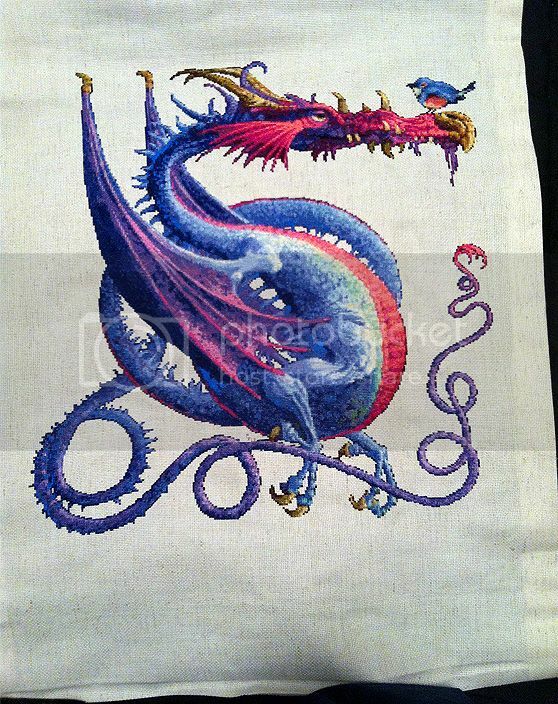 Oh and I just checked and my dragon project is 350 x 349 stitches done on 18 count which makes it just about 20" x 20". So that is...let's see...122,150 stitches give or take a few and it has 90 colours. And I have about 4 other projects 1 of which is even larger. Why oh why do all the ones I want to do have to be sooo big? 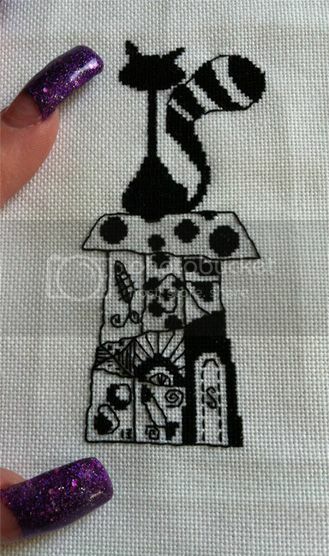 Ah well I do enjoy a good cross stitch pattern especially when there are no 1/4 stitches, 1/2 stitches or backstitching. 1/4 stitches? I haven't seen those yet. I am just struggling with 1/2 stitches for a small project (dinosaurs ... it's a present). They never come out quite right, I think. And 90 colours, Teltasarewen - that is a LOT! Canamarth I always found that doing a pattern that calls for say 14 count and there are many 1/4 or 1/2 stitches it is easier for me to work on 28 count over 2 threads so the smaller stitches are much easier to work. Yeah 90 colours requiring many, many, many changes. Phew! But once it's done it will look awesome. Any quilters in here? It says "Quilters" on the sign outside, so I was just wondering. Alas Old_Begonia only a couple of cross stitchers hanging around these days. But you never know when one may drop in. Lithtaur16 wrote: :) Hi y'all! Lithy- My thoughts on the subject of quilting and binding order - Patchwork/ top design first, then place upper finished piece, quilting material (cotton batting or what you choose for thickness) over the backing- tack it down so it doesn't move, do your quilting stitching through all three layers and then finish off the quilt with the binding. Heyya Canamarth and Telta!! Can't wait to see your projects- please do post pictures when you get the chance to. As I wrote to Telta and awhile back- my stitching days are few and far between (though I have some projects I'd really LIKE to finish before my hands so no ), my eyesight says otherwise. However, I do have a magnified light source and this is a great boon, so the things I've set aside will be brought out some rainy day to be finished and matted and hung on the wall. Here's a question for those of you who've returned: Does anyone have a working contact email for Tarina? I've been trying to get in touch with her and the trail has run cold. C.S.! Good to see you here. I know I'm a fine one to talk after being away for soooooo long. Hope you find those rainy days to finish off the projects you have and want to do. I shall try to remember to post a pic of my project when it's done. Hopefully not to far in the near future. 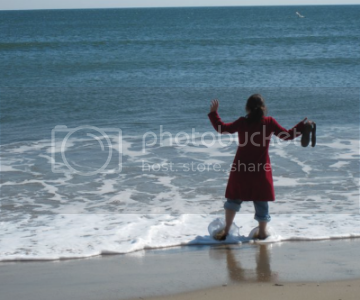 Hope someone can help with Tarina's contact because you know what I am looking for. Hey, crystal_seed! It somehow seems as if quite a few people have recently crawled out of the woodworks to return to TORC. Can't help with Tarina, though. The dinosaurs are not advancing, though it's not a large piece ... but I have until Christmas to finish it. Am thinking of another few cross-stitch Christmas presents this year. It's been a while since I gave stuff away, mostly hand towels with people's names on them. Maybe I should add flannels. I am in the same boat Canamarth. The piece I am working on is also for Christmas. I'm hoping to get it done by the end of October at the latest. Then I have several more projects I want to do. There's just not enough time in the day to do everything I want to do...sheeesh. crystal_seed wrote: Welcome Old Begonia!! I do have a little something in the works, (and a roomful of projects in the wings!) I will post a pic directly. All the instructions I've read say quilt-then-bind. So far that has worked well for me. I do it pretty much the way CS described, but I stabilize w spray baste and big safety pins, rather than trying to keep it super taught. I bind by hand because I've never been happy w the results if machine stitched binding, though I have seen it done, and beautifully too. I like using a "invisible" stitch for the binding, I think it's called a blind stitch. Sorry, I don't know Tarina. Hope you find her. Well just had to share this. I finished the dragon picture. And a whole lot earlier than anticipated. It needs cleaning and framing but at least it's done. Ahh now I can take a day or two off before starting another project...hmmm who am I kidding tomorrow will come and I'll be itching to get started. Holy Moley, Telta'! THAT is ah-MAY-zing!! Where will it hang when finished? Alas Old_Begonia it is not mine to keep as just about every piece I have ever done. I tend to give them away as presents or do something for someone else who has asked for a specific piece. I don't think I have one piece kept that I have done. But I do not mind at all knowing that the ones I have done have gone to good homes where they are appreciated. Oh I forgot to say it is a larger piece ending up at about 20 inches x 20 inches. Old_Begonia is there another way you could post your pic here? I am not getting anything. I'd love to see your project. Just sneaking in here to see what you all are doing. I also do cross stitch. Not working on any right now. I am making crocheted lap blankets. Old Begonia, I can't see your picture either and would love to. Telta, what a beautiful picture that dragon is!! Awesome job! I don't know how else to do it. I tried sharing from my photos, but it said something was missing [in the code] so u used the camera icon here. I can see it, but you can't. The pic is there too. Yay that last link worked Old_Begonia! What a lovely piece. I just love purple. I'm working on some smaller cross stitch now....a whole lot smaller only a couple of inches x a couple of inches and the first one is only one colour compared to the 88 for the dragon. Wow, Telta, that dragon is amazing! How long have you been working on it? And also the quilt, Old_Begonia. As Telta said - wonderful colour! Thank you Canamarth. The dragon took the better part of four months to do. Of course I was lucky to be able to spend many hours a day on it or else it would have taken a lot longer. The exhibition is over but I haven't managed to fetch the Flower Fairies pictures back home yet. But it can't be very much longer now (famous words those ... ). Hope you get those pictures back soon Canamrth. I'd love to see them. Yeah four months is quite long and it was fun. I have four or five more that I think will take just as long but for now I am working on very small projects. A bit of a rest before digging into another large project. Yay! First small project done. Only three day to make it. Done over one stitch on 28 count evenweave so it's about 4 inches x 2 inches. It will be trimmed and placed in a cover for an iphone. I have a few more to do and hopefully one for myself before moving on to another large project. Canamarth I know it's only been a few days but any word yet on your pictures? Yes, Telta - they arrived yesterday! But as I only got home at 10 pm, I didn't feel like taking pictures in the dark. I'm not sure if there'll still be light when I am back tonight but I can definitely arrange for a photoshoot on Thursday when we have our national holiday. Oh, what an adorable little project, Telta. And what a cool idea to put this in a phone cover. And what long nails! Wow. Thank you Canamarth. It was a fun project and now I want to do others for iPhone covers (got one started already ). As for the nails...well so long as they do not get in the way of my cross stitching I shall keep them long. I hate staying up, it's not healthy, I get grouchy, my priorities get skewed but there's a part of me that I have to apologize for and police which involves being bothered when I'm almost finished something and have to make a decision whether to finish it later in favor of something probably more important- like sleep. The shorter version of this is thanks to a month of 2am/3am bedtimes the baby quilt is finished! I started quilting it first, got about halfway through stitching in the ditch, got impatient and started sewing the edging down (I cut the backing big, double folded it over and seamed it), realized I liked how I was sewing the edging, started using the same sewing technique 1/4 inch inside each of the squares and ripped out the threads in the ditch. This is my first quilt! I had to knot all the quilting in the back and bury as many of the loose ends as I could. I think my sis will use it as a wall hanging anyway so I don't really have to worry about knots coming undone in the wash. I don't think the sparkley glue paint we used to decorate it would hold up either. Lithtaur16 I don't know much about quilting but I do know it is a lot of work. Hopefully it all holds together for you and your sister. Looking forward to the pictures. I know what you mean about priorities. I usually find myself staying up later and later when I have a project I want to get done...usually telling myself just a few more stitches...or I'll just finish this one row. Never quite happens that way though.